* Performance Warranty (related parts) coverage is for 24 months or 40,000 km whichever comes first. If your Replacement Parts are purchased from & installed by a Toyota dealer, your Replacement Parts warranty covers the PARTS & LABOUR*. For more on Replacement Parts Warranty: Click Here. Toyota Roadside Assistance representatives are there to ensure you receive prompt, efficient service from approved service providers, 24 hours a day, 365 days a year. For more information on Roadside Assistance: Click Here. 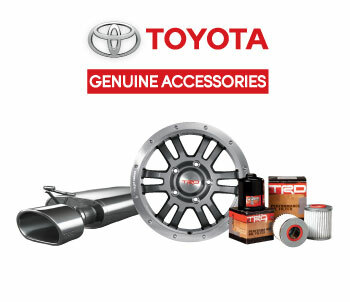 Order Toyota Factory Parts/ Accessories from us!